BALCOMBE COMMUNITY LINKS: is running on Friday 18 January from 11.00 am until 1.30 pm in the Victory Hall kitchen. Pop in for a chat, to eat your Fish and Chips or to find out what is going on in the village. All are welcome whatever your age. 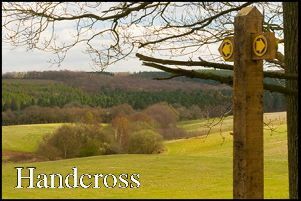 BALCOMBE CLUB: In January members’ annual subscriptions become due again. Subscriptions are just £25 for the year for full membership (£15 OAPs) and the bar prices mean that you recoup the cost very quickly indeed! On Saturday 19 January the Club has a pop up Thai Restaurant when their Thai friends will be creating some delicious and authentic Thai cuisine. The Steve Crane Gourmet meal is on Saturday 2 February, Michelin style dining in the heart of the village. Call 811226 to book. VICTORY PLAYERS: The Victory Players are looking for anyone who would like to act, make scenery and costumes, lead front of house - and direct and produce a play. To see who we are and what we do, join us at one or more of the play readings that we’re holding at the Balcombe Club from 8:00 pm on Tuesday 22nd and 29th January. No previous experience expected - we are true amateurs who enjoy the challenge of PLAYING! If you’d like to know more contact Keith Major, our artistic director, on 07802 309361 or e-mail k.vmajor@btinternet.com. PARISH ROOM AGM: takes place on Tuesday 22 January at 7.30 pm in the Parish Room. If you would like to find out more about the running of this lovely village building why not go along. 61 CLUB AGM: takes place on Wednesday 23 January at 2.15 pm in the Parish Room. Afterwards there will be bingo. CINEMA: The next film to be shown in the Victory Hall is Bohemian Rhapsody on Friday 25 January at 7.30 pm. Tickets £6 from Threads. HALF MOON: has a Burns Night evening planned on Friday 25 January. Ring 811582 if you want to book a table to celebrate. LITTER PICKING: The Parish Council litter picking initiative is underway and we would like to say a big thank you to our volunteers. It can be a rewarding exercise but also demoralising when, having cleared the edge of a road, you walk back to your car and see that within that short space of time someone has thrown a Sainsbury’s bag with a sandwich wrapper out of their car and there it hangs caught in the hedge and flapping in the wind taunting you!! !